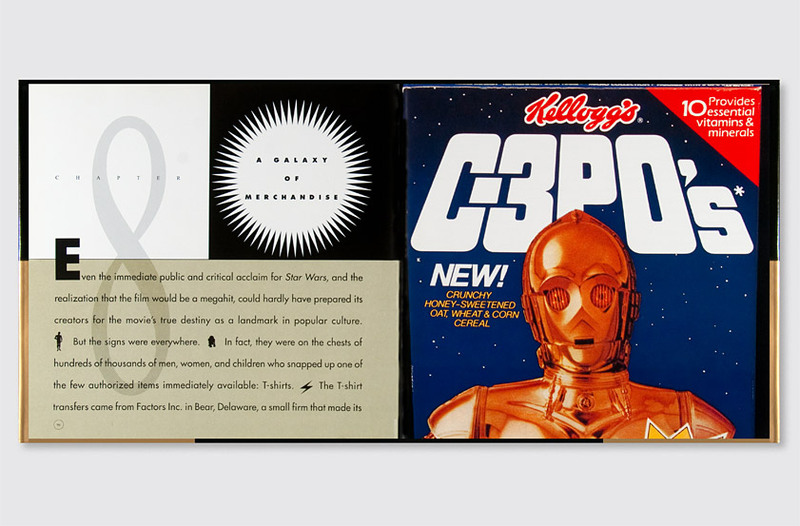 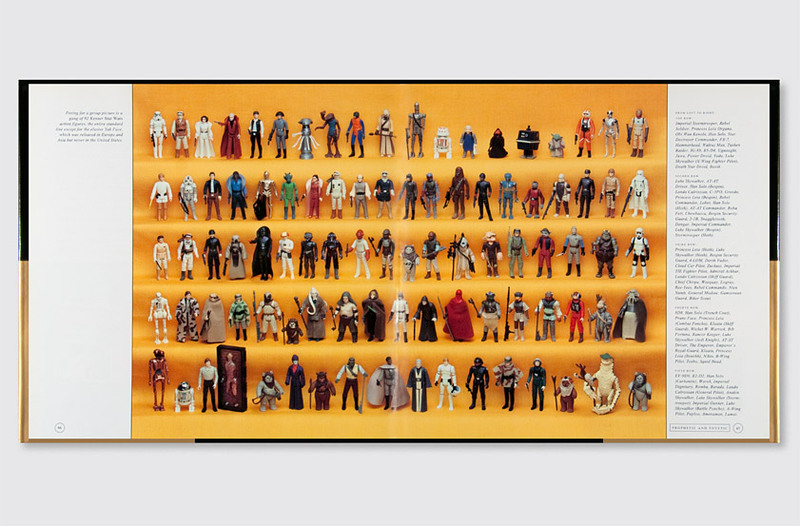 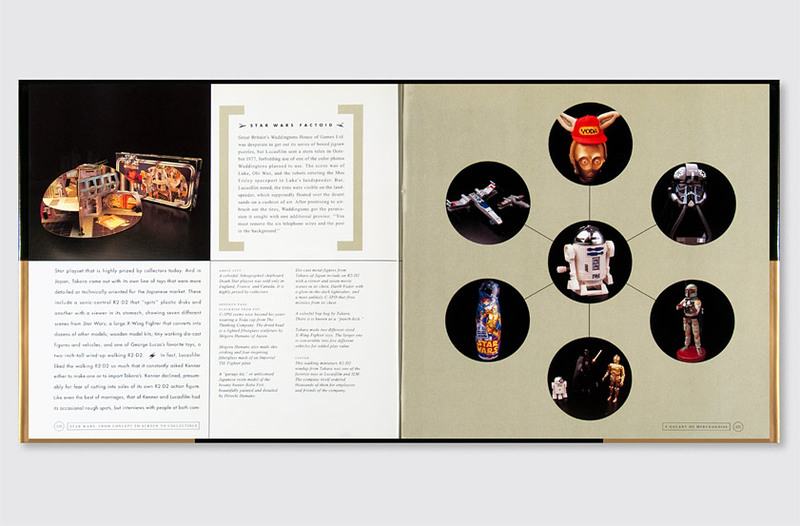 Star Wars: From Concept to Screen to Collectible, was Chronicle Books’ first title in the publisher’s long collaboration with Lucasfilm Ltd., showcasing the development of Star Wars from sketch to film to merchandising phenomenon. 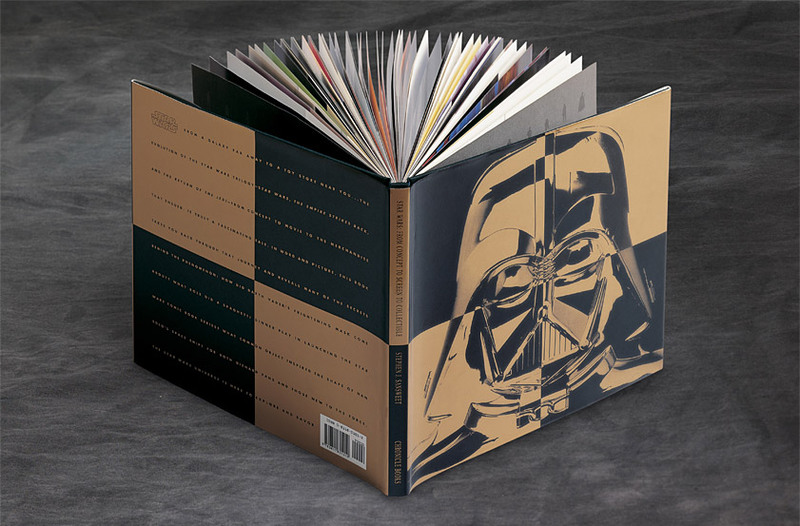 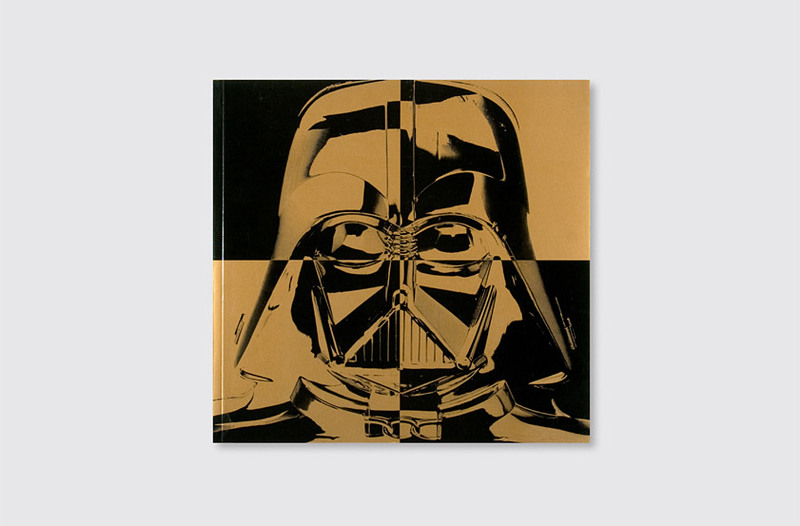 The book was also notable for its cover, presenting the movie’s dominant figure, Darth Vader, in a positive/negative metallic gold rendition to symbolize the theme of good vs. evil central to the Star Wars trilogy. 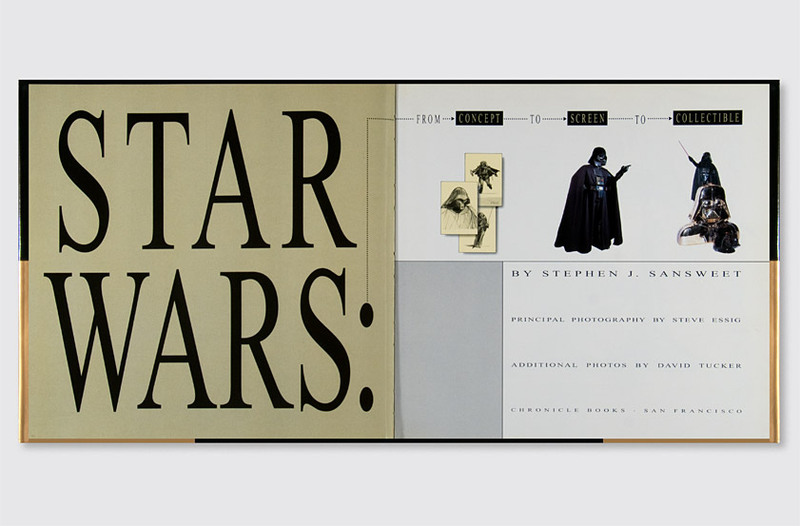 With no title and no type, the cover’s bold, iconic imagery says it all, requiring no further introduction. 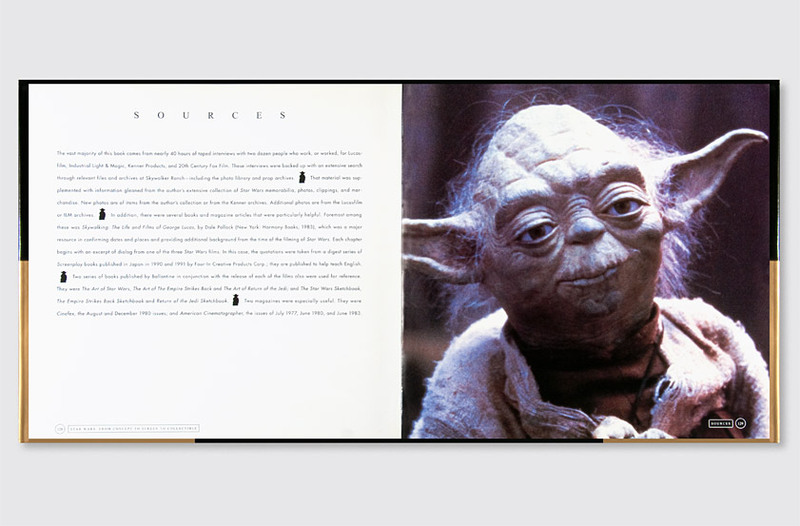 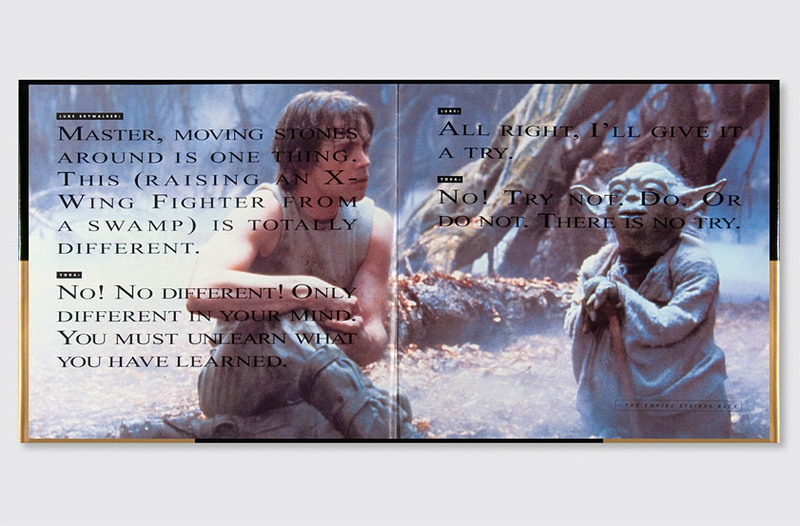 Interstitial spreads between chapters provide a change of pace, showcasing classic scenes from the movie and actual dialogue to reinforce the connection between the movie and the collectible. 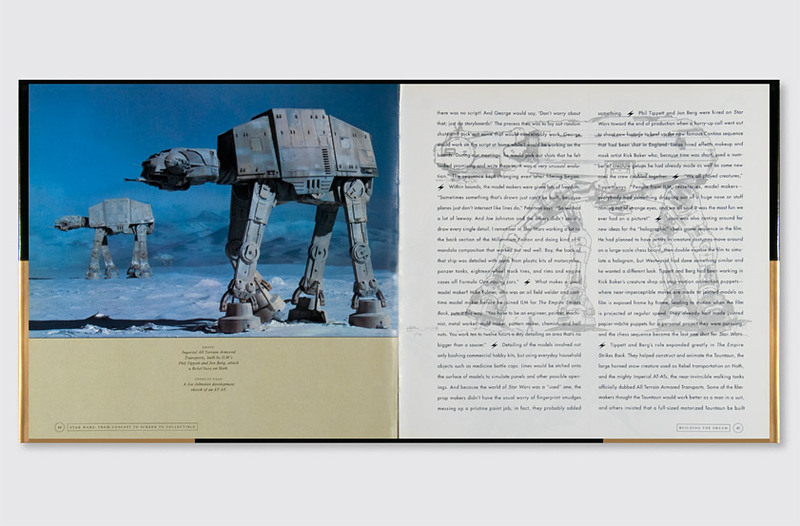 Divider pages showcase unusual collectible items, using large, engaging type to draw the reader into the story. 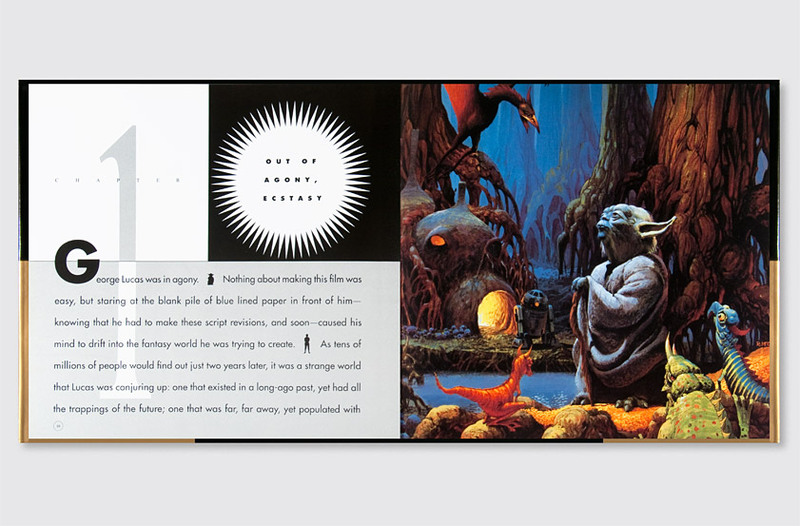 The trilogy’s distinctive characters create unique typographic bullets between paragraphs. 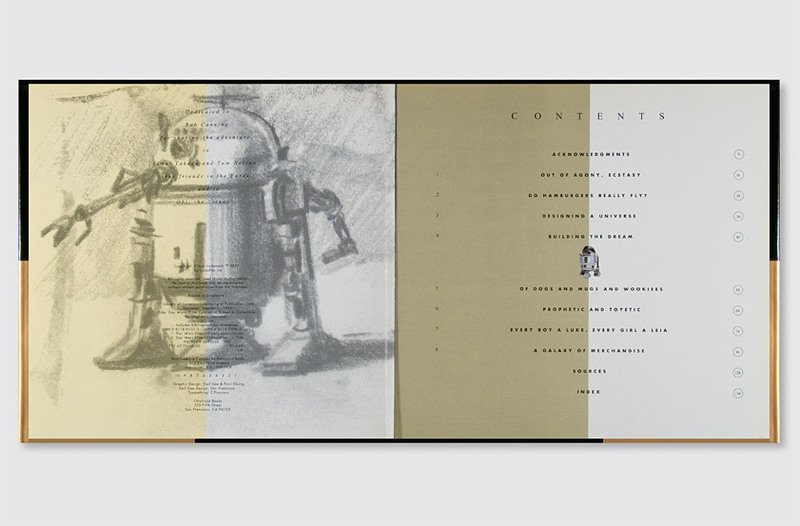 The modular layout was designed to accommodate an extremely broad variety of subject matter.